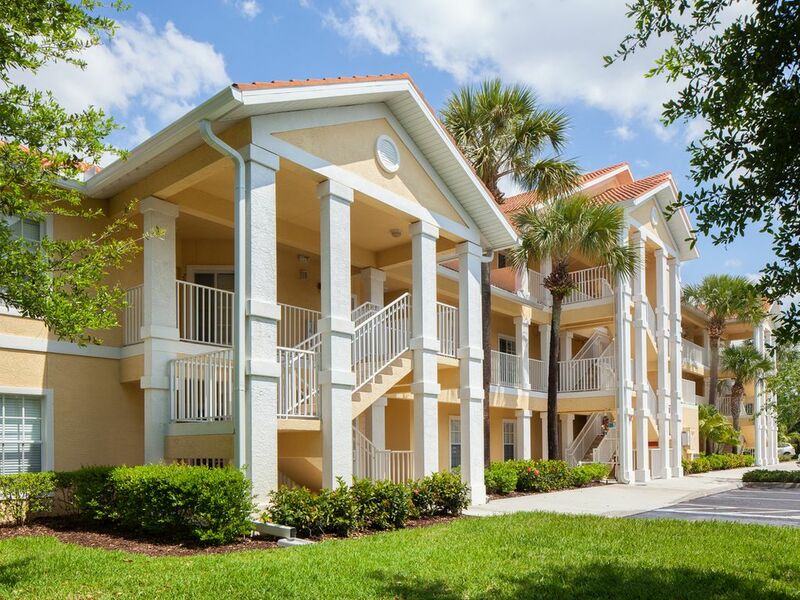 This luxury condo is set in the Coral Falls resort at Lely. All the stylish furnishings are new and the ambience is modern and very relaxing. And the superb tropical views add to that sense of comfort and relaxation. You are at the top of the building which enhances the view outside and gives you high volume ceilings inside. An elevator is available. modern kitchen with every convenience, including a fridge freezer with icemaker. The bathrooms are pristine and bright, the master bedroom large yet tasteful and the whole effect is one of light and space. And outside, on your fully furnished lanai, there are restful green views of the deep green tropical forest. You are just beside the large heated pool and spa and there are loungers for enjoying the Florida sunshine. This is a condo you will want to come home to. Many amenities are at your disposal. Amenities include a tropical waterfall pool and spa, (just beside the condo), two public golf courses, walking and biking trails and an abundance of lakes for fishing. This is a true vacation destination with unlimited opportunities for enjoying the tropical climate of southwest Florida. Nicely furnished and great location. This property is nicely furnished and very well stocked. It was super clean and well maintained. The management was great to work with from the booking to any questions we had. This is a great place to stay. Naples and the island retreat that is Marco Island. Naples is an intriguing cocktail of elegant dining and shopping combined with miles of shell strewn beaches. Marco is the largest of the ten thousand islands and much of its special charm derives from its island status and its affinity with the ocean. in your own little part of this tropical paradise.